Home > Speakers > David Twedt D.V.M. Dr. David C. Twedt graduated from Iowa State University and entered an internship and medicine residency at The Animal Medical Center in New York City in gastroenterology. Dr. Twedt then joined the staff of the Animal Medical Center and was also a research associate at the Liver Research Center of Albert Einstein Medical School. Dr. Twedt is currently a Diplomate of the ACVIM, Professor in the Department of Clinical Sciences at Colorado State University and Director of the Veterinary Endoscopy Teaching Center. Dr. Twedt is past President of both ACVIM Internal Medicine Speciality and College of ACVIM and the Comparative Gastroenterology Society. Publication and research interests include liver, gastrointestinal disease and endoscopy. 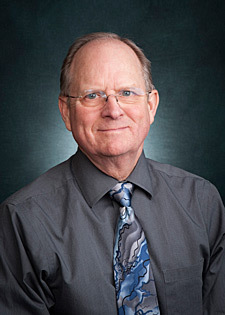 He has also been the recipient of several teaching awards. He is also the co-editor of Current Veterinary Therapy XIV published in 2008.